1. Where can I find information about a piece of property? Information can be found online by visiting Property Tax and Assessment Info. 2. What do the terms assessed value, state equalized value, and taxable value mean? Assessed Value: The assessor is constitutionally required to set the assessed value at 50% of the usual selling price. State Equalized Value: SEV is the assessed value that has been approved following County and State equalization. The County Board of Commissioners and the State Tax Commission must review local assessments and adjust (equalize) them if they are above or below the constitutional 50% level of assessment. Capped Value: Capped value adjusts year to year by 5% or the consumer price index (CPI), whichever is lower. Improvements to the property will also increase the capped value more than the rate of inflation. A sale or transfer of ownership will “uncap” the property so that the taxable value is equal to the assessed value. Taxable Value: Taxable value is the lesser of the capped and assessed value. 3. How does the assessor determine my assessed value? To ensure properties are assessed uniformly and at 50% of market value, the assessor uses a two year sales study. The sales are organized by neighborhoods. A neighborhood can be a single subdivision or a grouping of subdivisions with similar characteristics. If the sales in a neighborhood increase or decrease then all of the properties will be affected by what the sales have indicated. This insures that all properties are assessed at 50% of market value as of tax day - December 31. 4. I just bought my property. Why isn’t my assessment exactly half of the sale price? Michigan law defines true cash value as the usual selling price. The Michigan Legislature and the Michigan Supreme Court have clearly stated that the actual sales price of a property is not the controlling factor in determining true cash value and calculating the assessed value. The Department of Assessing analyzes several sales in each neighborhood to arrive at uniform and equitable assessments for all properties. 5. Why doesn’t my assessment appear to reflect current market conditions? When you receive your notice of assessment, taxable value and property classification at the end of February the market may have changed since tax day (December 31) and may have changed since September 30th of the previous year which marks the end of the sales study period. State law requires assessment to approximate 50% of market value. When market values are rising assessments are typically less than 50% of the market value by the time assessment notices are mailed because of the change in market conditions that have occurred between the time of the sales study and the when the notices are mailed. 6. How can my taxable value increase when my assessment stays the same or decreases? Proposal A was intended to limit the increase in taxable value by the Consumer Price Index (excluding physical changes) until ownership of the property transferred. The taxable value is capped each year by the CPI or 5%, whichever is lower. Since implementation of Proposal A the CPI has not exceeded the 5% maximum. As long as the assessed value is higher than the taxable value changes to the taxable value by the CPI will occur. In the past, assessments have decreased yet taxable values increased until the point that the assessed value and the taxable value are equal. The taxable value cannot be higher than the assessed value. 7. What is a Principal Residence Exemption? If you own and occupy a home you are entitled to a Principal Residence Exemption. This exempts you from a portion of school taxes. On the notice of assessment, taxable value, and classification that is mailed out annually at the end of February you should see 100%. You are entitled to one Principal Residence Exemption in or out of the State of Michigan. 8. What is personal property? Personal property is the tangible assets of a business. Some examples include: office furniture, computers, machinery, and equipment. Personal property should not be confused with real property which is the land and building. 9. Where and when do I file a personal property statement? Personal Property Forms are filed annually with the jurisdiction where the personal property was actually located on December 31st. They must be filed by February 20th each year. Affidavit for Small Business Tax Exemption must be filed by February 20th each year. 10. What if I don’t file a personal property statement? If the personal property statement is not filed on or before February 20, the assessor is required to estimate the value of the personal property. 11. What type of information do I include on the personal property statement? The total original installed costs for each item of personal property by the year of purchase should be reported. 12. What if some of my equipment is used equipment? If an item was purchased used you must report the original cost of the item in the year it was purchased as new. Do not report the cost that you paid for the item as used. You may have to contact the seller to obtain the original cost information. 13. My accountant has fully expended some items of personal property. Do I report it? If you have personal property that has been fully expended or depreciated for federal income tax or financial accounting purposes, the original cost in the year purchased must continue to be reported on your personal property statement. 14. What if I move or close my business during the year? If your business move out of the township on any day following tax day (December 31) you are responsible for personal property taxes for the remainder of the year (both summer and winter tax collections). Personal property taxes will be due to the city or township where your business relocates in the following year. Please notify the Department of Assessing if you move or close so that accurate records can be maintained. 1. What is the process for scheduling an inspection for the place I am renting? To request an inspection, a legal tenant must complete an Inspection Request Form and pay the fee of $20 prior to the inspection being scheduled. For more information, please contact the Housing Inspector at 734.822.3129. 2. Who has to pay for an inspection, the tenant or the landlord? When the legal tenant requests a rental inspection, he/she is responsible for the required fee. 3. How do I get a copy of the Building Department's Fee and Inspection Schedule? The current fee and inspection schedule can be obtained in person from the Building Department, or you can view the fee schedule online. 4. Who do I call if I need information about a builder? Residents can call the Department of Commerce, Consumer Complaint Department at 517.373.9153. 1. How can I submit a question or concern about an issue in the township? Whether it’s a question regarding Code Enforcement, Utilities, or another matter related to the township, the Report a Concern button on our website’s homepage allows you to submit any township related questions or concerns directly to someone who can assist you. 2. Does the township offer hard copies of maps? You can pick up a free copy of the Park Map brochure at Township Hall or the Community Center, featuring full color maps of all Township parks, paths and trails, locations of playgrounds and athletic courts, and a complete park amenities list. Hard copies of the Zoning Map and Street Map are sold through the Treasurer’s Office at Township Hall, and printable copies of township maps are available for free on our Maps and GIS page. Please note that the information on these maps may change without notice. 3. 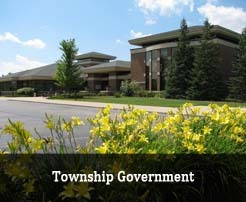 What are the Township Office's hours? 4. Where are the Township Offices located? 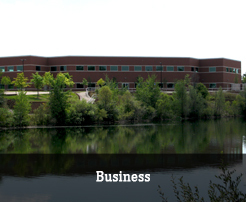 The Pittsfield Township Offices are located at 6201 W. Michigan Ave, Ann Arbor, MI 48108. 5. How can I contact someone in the Community Development Department? 6. What events are happening in Pittsfield Township? Find upcoming township activities & events by visiting our township calendar, or by viewing our upcoming events & holiday closures. 7. Help! I've ran into a problem on the website, who do I contact? If you run into a problem while using our website, send us an email or call us at 734.822.3135. 1. How do I apply for a community garden plot? Start by submitting an interest form. 2. When will I know if I assigned a plot? Plots will be assigned on a first come, first serve basis from the gardening interest forms that we receive. One you are emailed an application, you will have one week to get it back to us with your payment. 3. Where are the plots located? The Community Gardens are located at Prairie Park between the Administration Building and Public Safety. 4. Are there ADA accessible plots available? Yes, There are 6 accessible plots available. 5. When can I begin to garden? Gardening may begin May 1 though it is recommended you wait until after the last frost of the season to begin planting. 6. What are organic growing practices? For organic growing practice tips and information please visit the requirements page. 7. Can I bring my pet to the Community Gardens? Pets are not allowed in the Community Garden area. 8. Who waters the gardens? Gardeners are responsible for care of their own plot including watering. 1. Why support the Farmers Market? The Farmers Market mission is to 1) strengthen and support local and regional food and agricultural businesses, 2) increase healthy and wholesome food access, and 3) promote community interaction. Over 8,700 guests attended the Market to support our local growers, food producers and artisans in 2017. Support of the Market has established free programs including: bimonthly healthy cooking demonstrations, live music, Master Gardener consultations, an artisan showcase, and weekly kids’ activities. Partnerships with local institutions such as the Ann Arbor Symphony Orchestra and Leslie Science and Nature Center added interactive family programming. These free activities educate consumers about healthy food preparation and sustainable gardening practices, promote Michigan agriculture, and encourage community engagement. We look forward to working with you this year to continue to grow a successful market, while helping the economy thrive and being a friend to the earth. 2. How often is the Market held? The market is held every Thursday, from 3:00 PM to 7:00 PM, June through September, rain or shine. Indoor markets are held monthly in the off-season. This years indoor market dates are: April 26, October 11, and November 8, 2018. 3. Do you accept EBT? The Pittsfield Township Farmers Market accepts Bridge Cards and participates in the Double Up Food Bucks Program and Prescription for Health. Some vendors accept WIC Project Fresh. Double Up Food Bucks matches Bridge Card purchases up to $20 a Market day for Michigan produce. Stop by the Farmers Market information tent to learn more! How the DUFB Program works! 4. Why isn't there more produce in June? This is a Michigan producer market. No pineapples or bananas can be found at the Pittsfield Township Farmers Market! Michigan farmers are at the mercy of Michigan weather. Some farmers have hoop houses which can extend the summer season. Click on the Michigan Produce Availability Calendar link below for a good idea of what you can expect to find at the Market throughout the season. 5. How do I find out about the activities taking place on Market Days? The best way to find out about the weekly Farmers Market activities is to sign up for our seasonal weekly e-newsletter. You can click on the link below. You can also follow us on Facebook for daily updates. Sign up for our newsletter! Information on Neighborhood Watch can be obtained by contacting the Public Safety Coordinator at 734.822.4959. In rental units the landlord supplies fire extinguishers as set forth in Section PM-705.4 of the Pittsfield Charter Township Code of Ordinances. Homeowners can purchase fire extinguishers at local area fire protection retailers. Most department and home improvement stores also carry them. Information on preparing for emergencies (including a checklist for people with mobility problems) is available through the Washtenaw Chapter of the American Red Cross. They are located at 2729 Packard Road, in Ann Arbor, and can be reached by phone at 734.971.5300. You may find the answer to this question in	Chapter 7, Emergency Services, Article III. Our Fire Chief and Fire Marshal work a 40 hour week while our other full-time staff members work 24 hour shifts. The 24 hour staff works 3 out of 5 days then are off for 4 days. An example would be a firefighter would work – Monday, Wednesday and Friday and then be off until the following Wednesday. For more information on our personnel check out	"Our Firefighters" page. 1. Why is the pathway on the east side of the road? There is more right of way and fewer roads to cross on the east side. 2. Is there any airport impact? We are currently coordinating with the City of Ann Arbor. 3. Why not just widen the shoulders? This was considered, but it is not ideal from a safety standpoint. Separation from the road is desired for non-motorized pathways in order to accommodate all forms of non-motorized travel. 4. Why not sidewalks instead? Sidewalks do not qualify for funding and are not consistent with the township master plan. 5. Was there a study conducted concerning number of users? No, no study has been completed to date. 6. Are township tree mitigation funds available? Depending on impact to existing trees, the tree mitigation fund may be considered. 7. What about security concerns? Security concerns are currently being reviewed by the Planning Department and the Department of Public Safety. 8. Who will handle trash and maintenance? The Pittsfield Township Parks and Recreation Department. 9. Will the pathway protect road expansion? 10. What are the locations of the future paths per the master plan? We are currently drafting a non-motorized plan as part of the 2010 Pittsfield plan. The intent is to create a pathway network that will connect residents to jobs, shopping, and recreational opportunities (like the township parks). Phase 2 of the Lohr Textile Greenway is planned to connect to Marshview Meadows Park east of State Road on Textile Road. 11. Why wasn't Maple Road chosen for the pathway? 12. The Platt Road Greenway is close to some houses, have you had any complaints? We have not received any complaints. 13. What are the differences between easements versus right-of-way? Public utility easements are granted for gas, phone, cable, etc. Right-of-way was dedicated to the Washtenaw County Road Commission. Easements have different ownership than right-of-way. 14. What are the funding sources and their amounts for the pathway? The township was granted $300,000 in 2010. We are applying for an additional $300,000 for 2011. 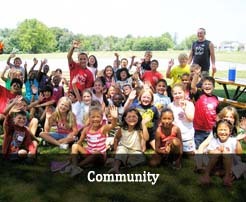 This funding was received from the Washtenaw County Parks and Recreation Connecting Communities grant. 15. What is the easement acquisition process? Requests to grant easements will be mailed in June. 16. What about walls, trees, and screening options? The Washtenaw County Road Commission cannot guarantee trees planted in the right-of-way will not be removed in the future. However, trees planted between the pathway and right-of-way are highly unlikely to be removed in the future. This path is considered a linear park within the township Parks and Recreation system. Liability protection is the same on the pathway as in any of the township parks. 18. Will there be another meeting in the future? Yes, a follow up meeting with homeowners will be scheduled after the township has collected comments and concerns. 19. Was a use study conducted? A use study has not been conducted. 20. What are the utility impacts? There are no planned water shut offs. There may need to be an electrical shutdown if any utility poles are relocated. 21. Why is the pathway on the south side of Textile Road instead of on the north side of Textile Road from Lohr Road to the Saline Recreation Center? The most important reason the pathway is on the south side of Textile Road (from Lohr Road to the Recreation Center) is because the crossing at the Lohr / Textile intersection (a four-way stop) is the safest pedestrian crossing available. In addition to safety, placing the pathway on the north side of Textile Road would require crossing an additional drive that does not need to be crossed if the pathway is placed on the south side of Textile Road. In both situations one easement would be required to accommodate the pathway. Given that previous public engagement and outreach processes have clearly noted that parks, recreational and open space amenities are a top priority for Pittsfield residents, we envision a planning process that synchronizes our two major planning documents—Township Master Plan and Parks & Recreation Plan—to outline one cohesive vision for our community: 2020 Vision. This is your chance to shape the future of your community. •	What should or should not be built next to your home or business? •	What amenities should your neighborhood park have? •	Where can land be developed for residential use? Industrial? Commercial? •	What public transit opportunities may be available? •	Will that empty property down the road be preserved? We will be holding a series of public forums and design workshops at various locations in the Township. Come and share your vision on how you would like to see your community evolve. Please click below for public forum locations, dates and times. 4. Where can I find a copy of the Pittsfield Township Master Plan? 5. Where can I find a copy of the 2010-2015 Parks & Recreation Plan? 6. Who do I contact regarding the 2020 Vision? Please contact the Supervisor’s Office at 734-822-3135 or email 2020vision@pittsfield-mi.gov. 1. What changes have been made to the Open Burn Ordinance? The Pittsfield Charter Township Open Burn Ordinance has recently been amended regarding the use of barbecue grills or patio wood burning units on or near multi-family buildings. The changes that were made to the ordinance reflect the International Fire Code which Pittsfield Charter Township has adopted. The language that was added prohibits the use of charcoal, propane, wood, natural gas or any open flame cooking appliance on covered patios or porches of multi-family dwellings with three or more units. It also restricts the use of patio wood-burning units in multi-family dwellings. "The use of charcoal, wood, propane, natural gas or any other open flame cooking or grilling appliances on covered patios or covered porches of multi-family dwellings with three or more units is prohibited. All such use must be in compliance with the Fire Prevention Code of Pittsfield Charter Township." 2. Does this apply to me? If you reside in a building that has three or more attached units, such as an apartment building or condominium complex then it does apply to you unless your patio or deck is protected by an automatic sprinkler system. If you live in a building with only one or two units, such as a duplex or single-family house then it doesn't apply to you. 3. Is there some type of grill that I can use on my covered patio or porch? Yes. Grills that are fueled by a 2 1/2 pound propane canister (usually green in color) are allowed. 4. What is a wood-burning unit and can it be used at all? A wood-burning unit is usually a screened metal container that is used for campfires. These units can only be used if your patio or porch is protected by an automatic sprinkler system or if it can be moved at least 15 feed away from any combustible material. If those conditions are met, the unit may be used to burn clean wood only and shall not cause a nuisance to neighbors. The patio wood-burning unit shall not be used to burn refuse. The patio wood-burning unit shall burn only clean wood. The patio wood-burning unit shall be located at least 15 feet from the nearest structure. The use of a patio wood-burning unit is prohibited on balconies and covered porches of multi-family dwellings. 5. Can I have a bonfire? Yes. You must have a parcel not smaller than one acre, the bonfire can be no larger than 5'x5'x5', must be 50' from any structure and must be attended by a person of at elast 18 years of age. The bonfire can burn no longer than 3 hours and must be attended until cold. "(g) Outdoor campfires and bonfires for cooking, ceremonies, or recreation are allowed provided they do not cause a nuisance. (h) Open burning under this section shall only be conducted at a location at least 50 feet from any structure and 15 feet from any property line. (i) Except for campfires and bonfires, open burning shall only be conducted between the hours of 7:00 a.m. and one hour prior to dusk. (j) A bonfire shall not be more than five feet wide and five feet high and shall not burn longer than three hours. The maximum size and duration of a bonfire shall not be increased by the fire department personnel unless it is determined that fire safety requirements of the situation and the desirable duration of a burn warrant the increase. Fuel for a bonfire shall consist solely of seasoned dry firewood and shall be ignited with a small quantity of paper. The fire shall not be utilized for waste disposal purposes. (k) Open burning shall be constantly attended and supervised by a competent person of at least 18 years of age until the fire is extinguished and is cold. The person shall have readily available for use such fire extinguishing equipment as may be necessary for the total control of the fire." 6. What do I do if a neighbors open burning is a nuisance? Any fire causing a nuisance is in violation of the ordinance. Contact the Department of Public Safety at 734.822.4911 to report the location of the nuisance fire. The on duty fire fighters will respond, make contact with the property owner and have the fire extinguished. 7. Can I burn leaves, brush and tree limbs? Open burning of leaves, brush and tree limbs can only be conducted on parcels that are zoned Agricultural. 8. If I have a campfire or bonfire what can I burn? Only clean wood may be burned which means no painted, varnished, or coated materials; materials that have not been pressure treated with preservatives; and material that does not contain glues such as plywood or other composite wood products. No fire shall be used for burning waste wood or refuse. 1. How often are Parks & Recreation brochures mailed? The Parks & Recreation Seasonal Brochure which lists programs, classes, and senior activities is mailed three times a year, around April, August, and December. 2. Who do I call for information on Senior Citizen activities? Information for senior activities can be found on our website. The Senior Citizens Coordinator can be reached by email, or by calling 734.822.2117. 3. Can I rent or reserve a park pavilion for a group gathering? Yes. Park pavilion reservations can only be made in person, at the Parks & Recreation Office at 701 West Ellsworth Rd. Please feel free to call 734.822.2120 for general information or visit the link below. We have eight pavilions available for rent. Each pavilion has a limit on the number of guests. 4. When and where are the Park Commission meetings held? 5. Will I receive a refund if a class is canceled? If the Recreation Department cancels a program due to a lack of participants, a full refund will be returned to those who have registered. If a program session is canceled due to bad weather, all efforts will be made to schedule a make-up session. If this is not possible, no refunds will be given. Please see the Parks & Recreation brochure or call 734.822.2120 for further information. 6. Where are the Pittsfield Township Parks located? Lillie Park North – 4225 Platt Rd. Lillie Park South and East – 4365 Platt Rd. 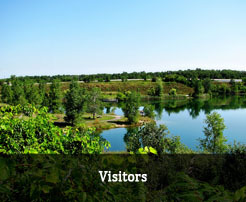 Marsh View Meadows Park – 300 East Textile Rd. Montibeller Park – 4305 Ellsworth Rd. Pittsfield Preserve Southeast (Old Hickory Trail) – Parking lot on Textile Rd. Pittsfield Preserve North – Parking lots located on Thomas Rd. and Marton Rd. Pittsfield Township Park – 701 West Ellsworth Rd. Prairie Park – 6201 West Michigan Ave.
Woolley Park – 1315 Textile Rd. 7. Where is the Parks & Recreation office located and what are the hours of business? Parks & Recreation Department is located at 701 W. Ellsworth Road and has office hours from 8:00 AM to 5:00 PM, Monday through Friday. 1. What's my zoning district? To determine your zoning district, view the Zoning Map. 2. What land uses are permitted in different zoning districts? Information regarding permitted or conditional land uses in the township can be found in the Land Use tables in Article 4, Section 4.20 and Section 4.21 of the Zoning Ordinance. 3. Do I need a permit to start a new business in the township? All new businesses must submit a Zoning Compliance Application. 4. What is the Form Based District? Information about the Form Based District can found in Article 5 of the Zoning Ordinance. 5. What are the township’s sign regulations? Any sign requires a permit to be issued by the township. Apply for a permit using the Sign Permit Application. Information regarding signs can be found in Article 15 of the Zoning Ordinance. 6. Where can I build a fence? Fences require a permit to be issued by the township. Apply for a permit using the Fence Permit Application. Information regarding fences can be found in Section 13.06 of the Zoning Ordinance. 7. Can I place an accessory building (shed) on my property? Accessory buildings are permitted. Information regarding accessory buildings can be found in Section 8.03 of the Zoning Ordinance. Any accessory building over 200 square feet will require a building permit. 8. Can I put an addition on my house / business? Information regarding setbacks and density for each zoning district can be found in Article 4 of the Zoning Ordinance. 9. Does my proposal require a site plan? Information about site plan requirements can be found in Article 9 of the Zoning Ordinance. Section 9.02 identifies the proposals that would require a Commercial Site Plan Application. 10. How long will the process take? 1. Where can I dispose of leaves and tree trimmings? Leaves and grass clippings must be placed in brown paper composting bags or in a trash container with handles that is clearly marked "yard waste". Labels are available at the Township Administration Building from the Utilities Customer Service department. Yard waste containers must be set at least two feet away from other containers. Yard waste is collected weekly between April 1st and December 15th of each year. Be sure to have yard waste at the curb by 7:00 AM the day of pickup. 2. Who is responsible for repairing roads? Public roads in the Township are the responsibility of the Washtenaw County Road Commission. The Washtenaw County Road Commission is responsible for winter maintenance on county roads. This includes applying salt and sand as well as plowing snow on roadways and shoulders. 4. Who do I call if there is a water main break in the street? In case of water emergencies during business hours, please call 734.822.3105. After business hours and on the weekends, please call 734.822.4911. 5. How often are water and sewer bills mailed? Billings for water and sewer services are sent every three months for residential customers and every month for commercial customers. Bills can be paid in person, by mail, by use of the drop box, or by signing up for automatic debit. 6. What do we do with the old garbage cans and recycling bins? The old garbage cans can be used as yard waste containers as long as you put a yard waste label on it. These labels are available at the Township Hall. If you do not want to use it as a yard waste contaner you can put it in the 95 gallon garbage container and then put your garbage in and they will take it away. The recycle bins can be used for something else if you would like or you can put them in the recycle cart and it will be recycled. 7. Who provides rubbish collection services? Residential rubbish and recycling services are provided by Republic Services through a subscription service and are billed to participating residents on a quarterly basis. Bills can be paid in person, by mail, by use of the drop box, or by signing up for automatic debit. 8. Where can I recycle hazardous materials such as batteries and flammables? The Washtenaw County Home Toxics Reduction Center is a permanent drop-off site where residents can safely dispose of household hazardous wastes. All services are provided free of charge. For more information call 734.222.6874 or the information line at 734.222.3950. 9. How do I report a power outage or downed power line? To report a power outage or downed power line please contact DTE Energy directly at 1.800.477.4747. 1. Can the construction team provide a safety orientation for the school? The township has offered to provide a safety orientation to Carpenter School.